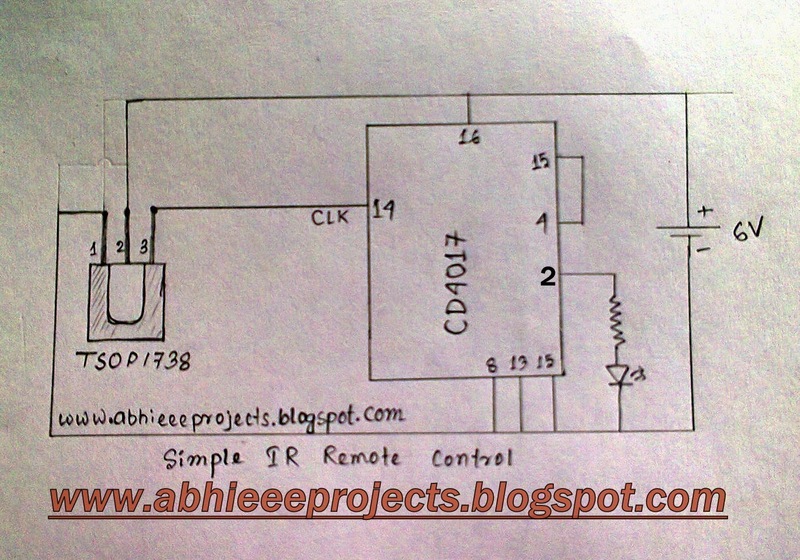 want to control appliances with a tv remote? then you can read it. Today I am going to discuss on an another application of the IC. We all know that, any infra red remote of any home appliance is a pre programmed device, according to the program, when we press any button of the remote, the infra red LED in front of the remote transmits a light with a pre defined code, when the light falls on the sensor, it creates a electrical pulse, that pulse is fed to the IC CD4017 ,it decodes the signal and creates the output by making its pins high. Press any button of your remote, see the magic………..